I just got up & showered. It's 10:15 and it looks like it is going to be a great day as I wall out of my hotel room. Thing I'm looking forward to the most: siesta. 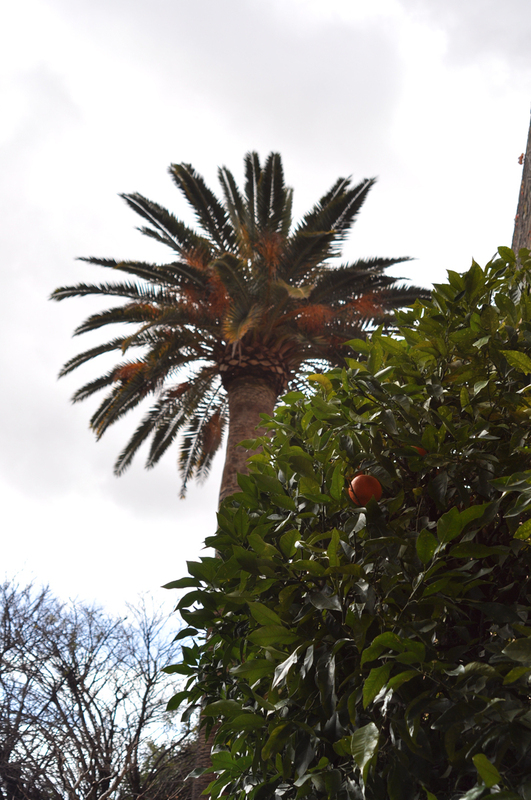 I made it to Seville after missing the first train, and as soon as I stepped out of the station it started pouring. 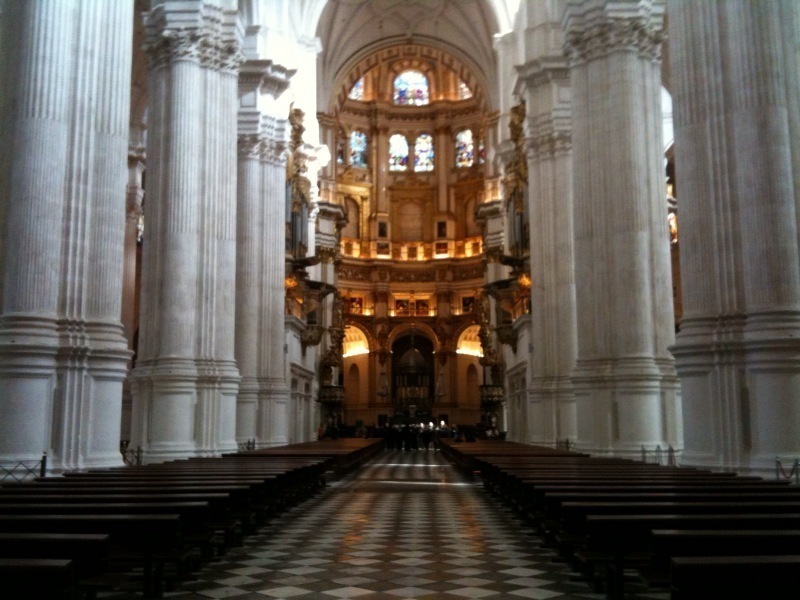 I stopped by the cathedral and walked around town for a bit, but really only managed to get soaking wet. With almost everything closed due to siesta, I'm back at the hotel drying off. Although, after reading about the snow storm that hit the east coast, I'm glad I'm not in NYC right now. I got a great place to stay tonight and am hoping that it is drier tomorrow so I can go check out the sights. I noticed that there are a lot more tourists here, which actually might be a good thing. I'm hoping to find a good place to go to tonight, but in the meantime I'm cooped up in my hotel room - bored and wishing I brought another pair of pants. On the Morocco front - my friend, David, mentioned that he knows someone that owns a Hummer and is looking to do a drive through Morocco and the Sahara. It sounds interesting, so I'm considering it and hoping that I'll hear some news about it when I get back to Malaga. Could be fun. Aside from taking 2 naps and trying to figure out how and when I'm going to Morocco - not a lot was accomplished today. However, I did learn one new thing. 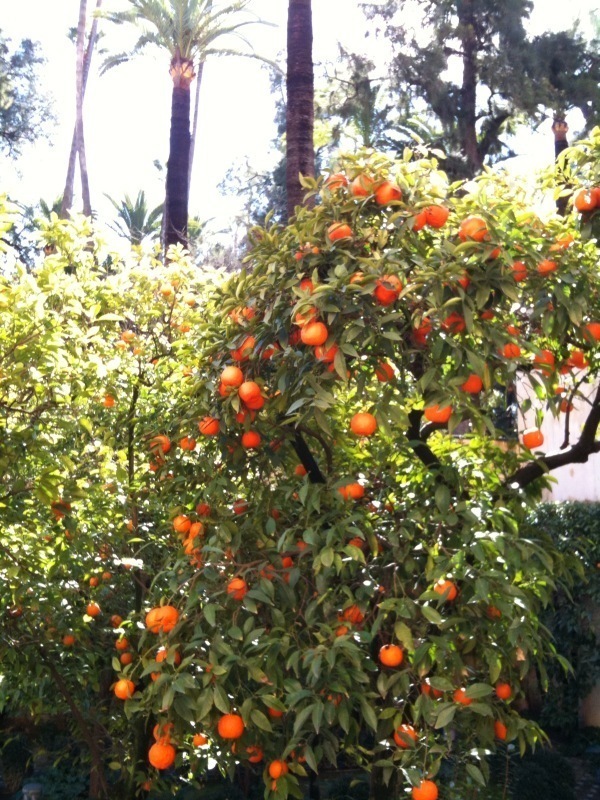 There are orange trees all over the place here... I looked it up and they are Clementines. Also a crowd-pleaser. I guess that's cool here. 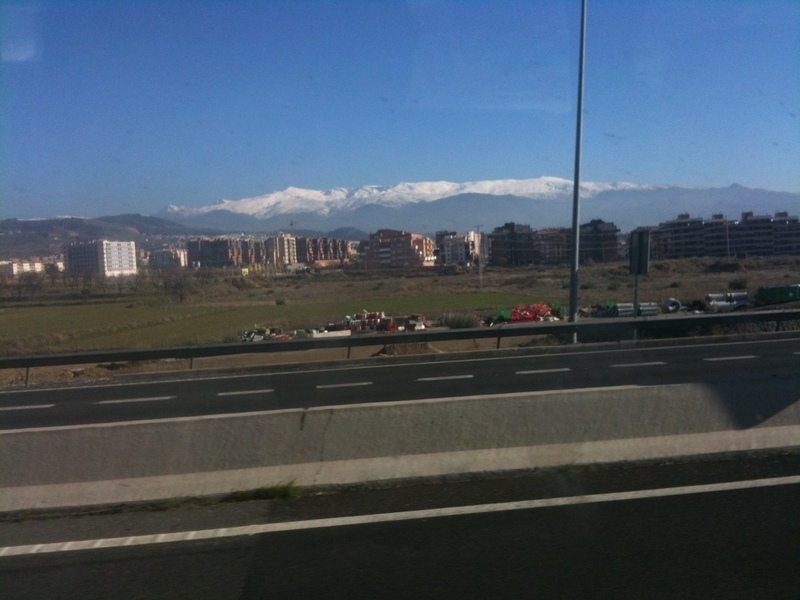 Just took the bus back to Malaga from Granada, which was a great trip. My new friend Cristina had to visit her family there so we took the bus up together. I walked around El Alhambra for about four hours. 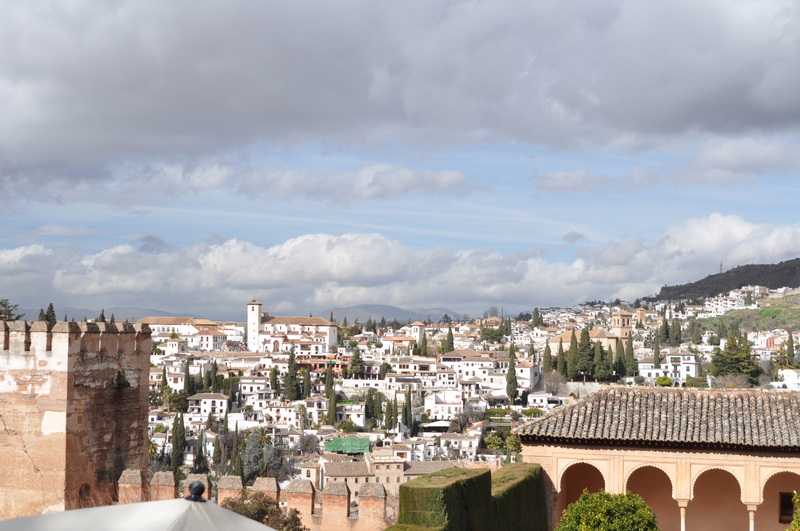 Alhambra is an old city & fort that has been passed back and forth between Christians and Muslims for hundreds of years. I was able to get a ton of photos, but they are still in my camera and there are a few hundred to go through. Once I do I will put some up on my Flickr account. 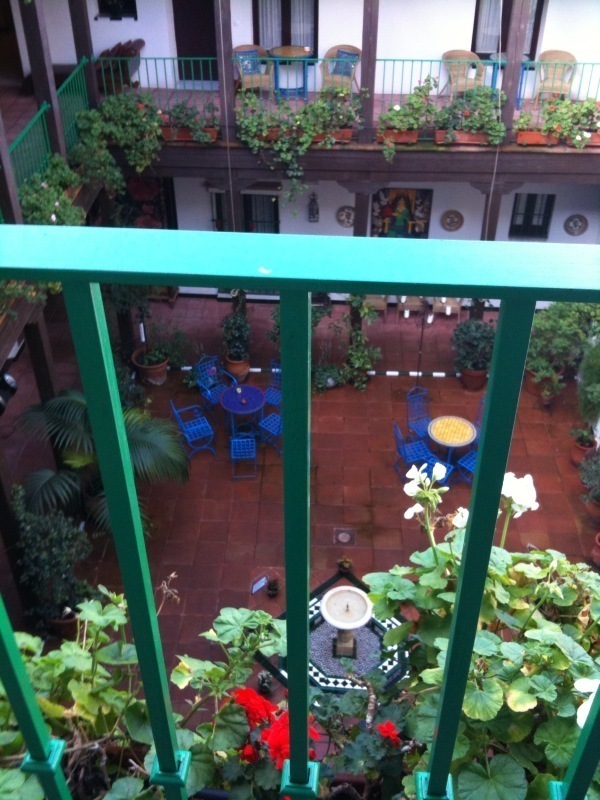 Even though I was exhausted from waking up early Friday for the bus and a day of walking, I decided to stay overnight in Granada - so I got a room in a hostel. I realized that, in the 12 or so years since I went backpacking, my expectations for accommodations have gone up fairly considerably. After securing the hostel and having a conference call for work I was able to go out with Cristine and some of her friends to enjoy the nightlife in Granada. One of the great things is that any time you order an alcoholic beverage in Granada, you get a free tapas plate... and a drink is only about 2-3 euros. So it is very cheap to eat & drink in Granada. We ended up at this place that reminded me so much of the Palace (before it became Flames Central). I already posted the picture, but it really doesn't do it justice. It was an old style, multi-level movie theatre which had been converted to a nightclub. For some reason it was very surreal to me. The oddest thing about it was the age of the patrons. There were so many older people in the bar (in the 50-70 age range) mixed in with the people that were there in their 20's & 30's. And they were there to party. It was extremely entertaining. I tried getting photos, but it was too dark. 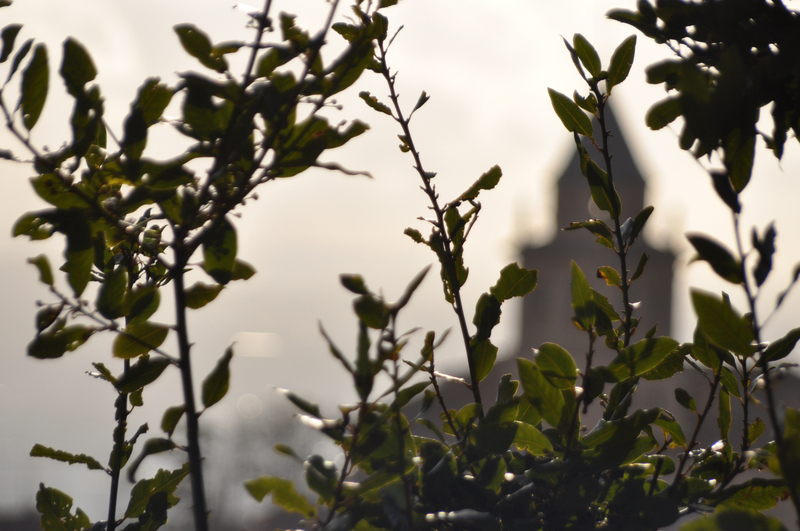 This morning I walked around Granada and it was a great day. The first t-shirt weather day since I've been to Spain. I walked through the Albayzin (which is the part of Granada where the buildings are all white) and went to the Cathedral, which is where they say much of the Spanish Inquisition took place. Walking around a place like Granada definitely gives a person a lot to think about, and after the bus ride home it feels like my brain is going to explode. 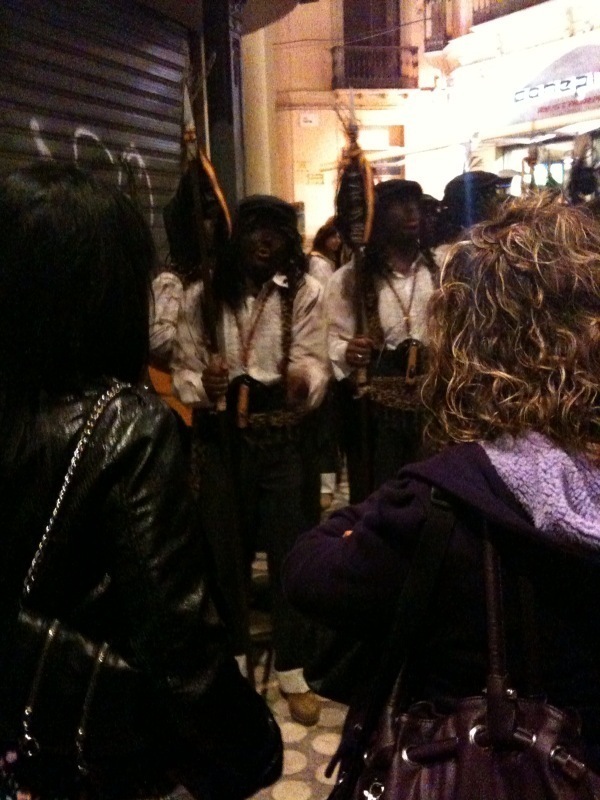 There is a carnivale tonight in Malaga and I can hear the drums starting up, so I'm going to go check that out. I grabbed some pics of the Sierra Nevada mountains and more olive tree fields while on the bus home. 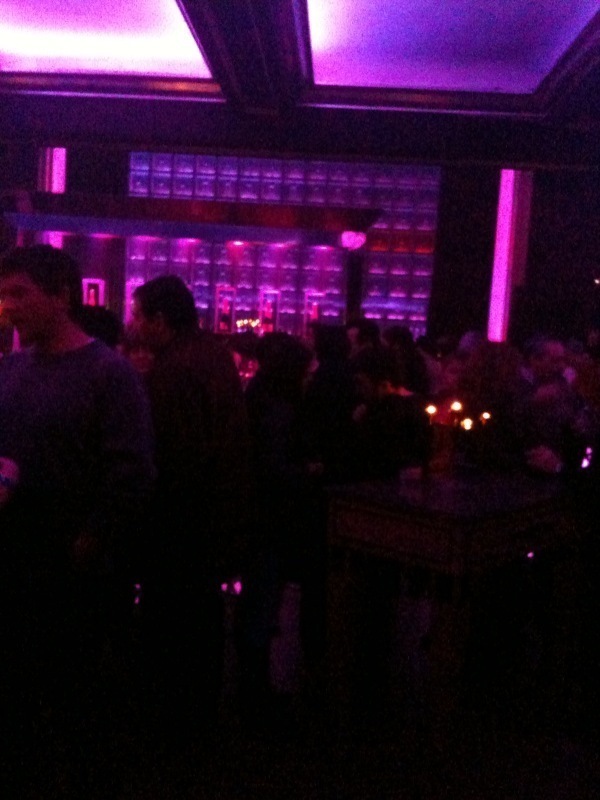 In an old movie theatre converted to a nightclub with some friends. Atmosphere and decor is exactly like the Palace (aka Flames Central). American music & median age of 45 makes it extra surreal. I am a digital marketing consultant, product manager, husband, and father. I am also the founder of Game Plan Systems, a sports-focused software company that has made AIM Hockey and is developing Firebelly. I am not the prolific science author who tells us how science fiction becomes reality or how to build a time machine. You should buy his books though... they're fantastic.